We had a really harsh winter, people said worst one in thirty years. Cars were getting stuck every day in the snow, so I began to really appreciate the fact I work from home. It overwhelmed the snow plows so it took them about two months to plow our neighborhood, it was crazy. So what do you do, when faced with all that snow? You go to Vegas of course! 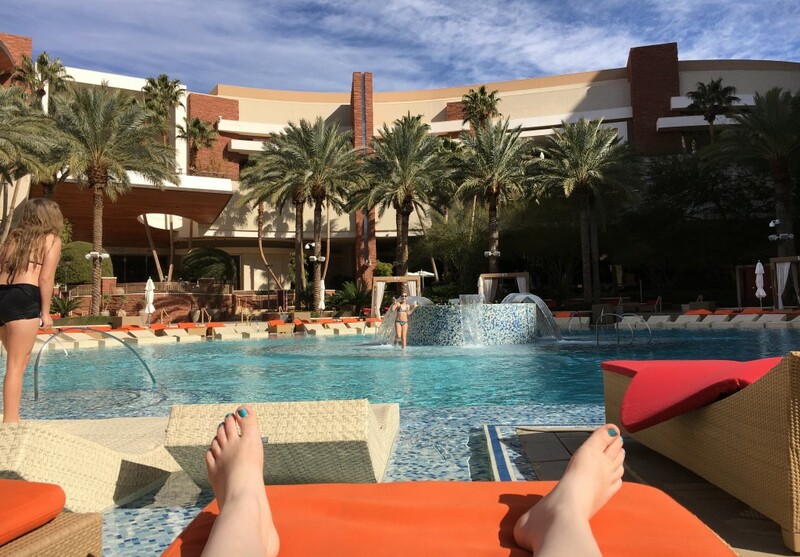 Naomi packed the kids up and took them back to California to visit with friends and get away from the terrible weather, and stopped at Las Vegas along the way, at the Red Rock Casino, Resort and Spa. Naomi visited our old house in Huntington Beach, and Alena treated everyone to an amazing dinner of salad from the yard, fried rice, buttered potatoes, kombucha, and cultured vegetables. 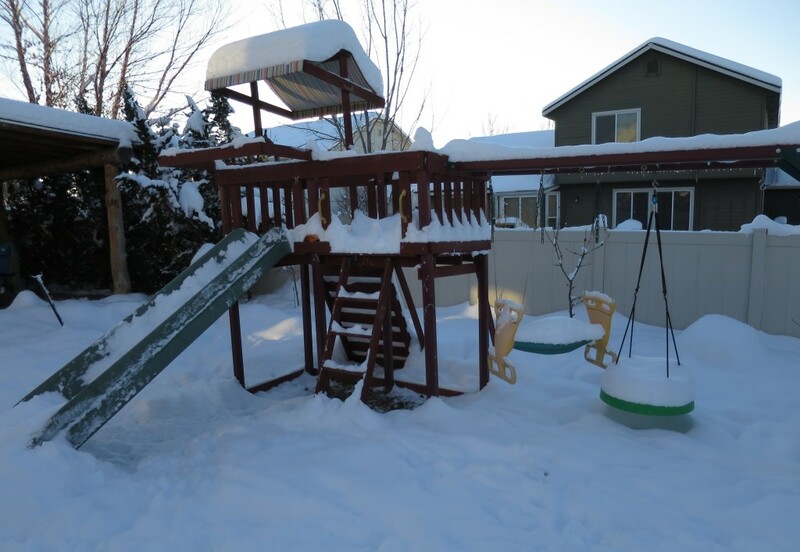 The kids got to play on their old play set. This video is from January, but I recently visited the house again in July and it's completely different. Our friends living there now turned the entire front yard into a garden, it's crazy and wild and creates this really amazing separation between the house and the rest of the world with all kinds of plants and trees growing up the fence to block out the world. Next up was the beach, which they went to over and over during the trip. 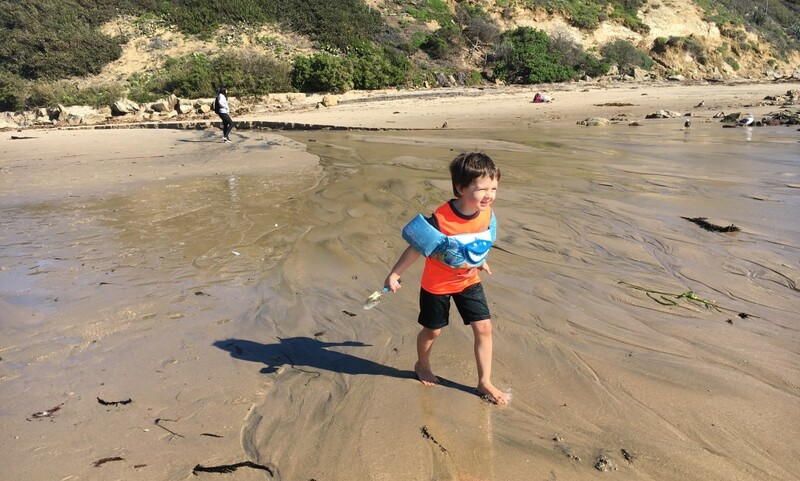 Miles had a blast, I think they all missed the beach. It's weird not living by the beach after having it so close for so long. 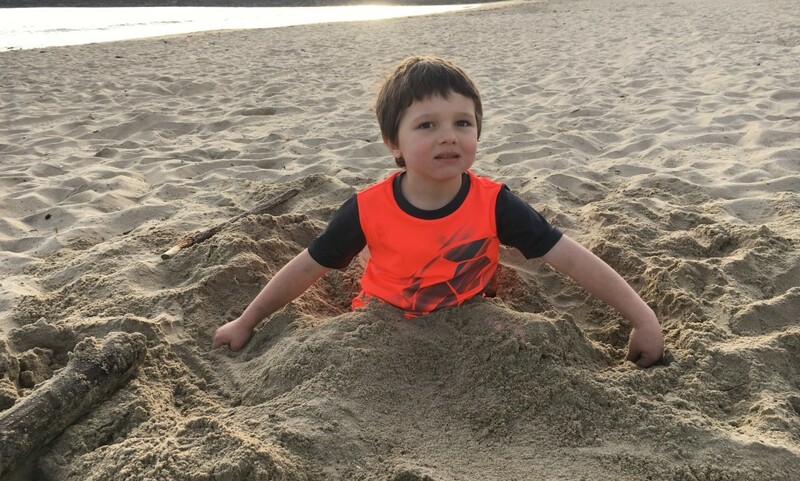 Miles and Desmond had fun burying themselves at the beach. Miles looks a little worried here, like he's never making it out of there. Naomi was able to visit with our home-schooling friends at park day. It was so great to catch back up with everyone. Naomi took the kids to Butterfly Wonderland where they had a lot of fun. Miles was scared of the butterflies and Amelie wanted to live there. 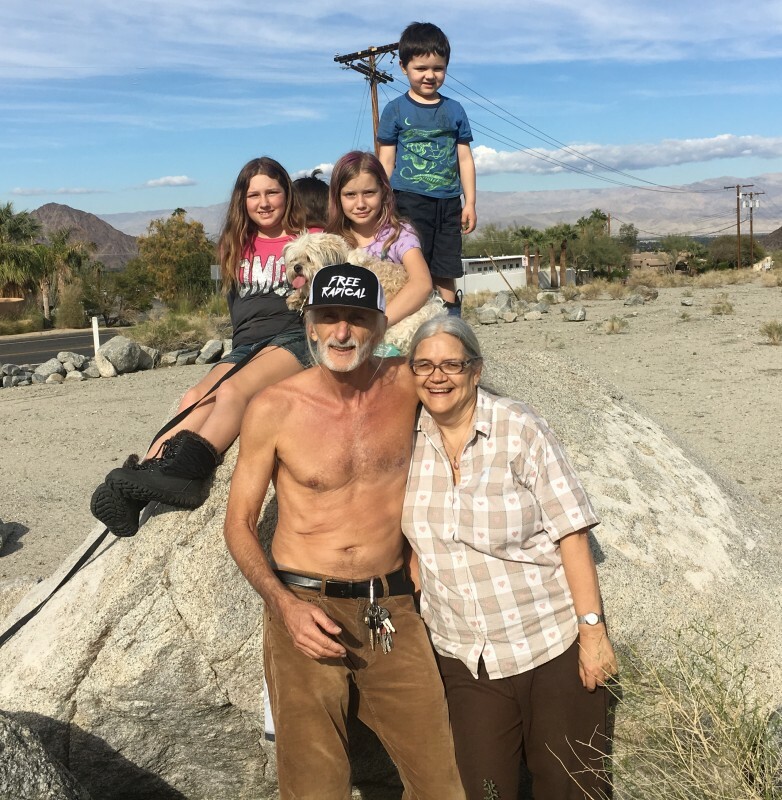 Naomi visited her mom out in the desert, and her husband Neal. 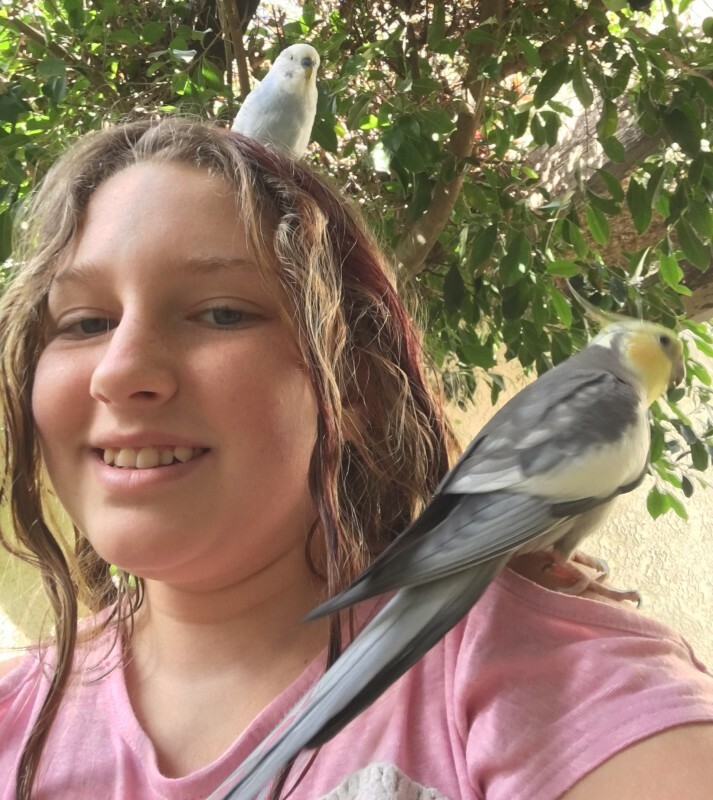 Amelie was enjoying Grandma's birds. Next stop was to visit Uncle Dave in Scottsdale. This is Tyler on the left, and Luke on the right. 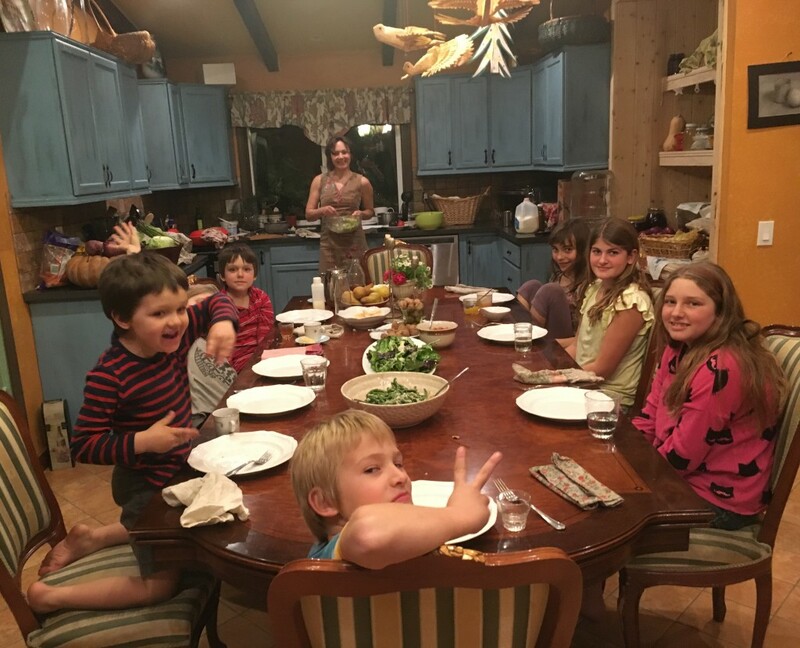 All the kids are getting so old so quick. 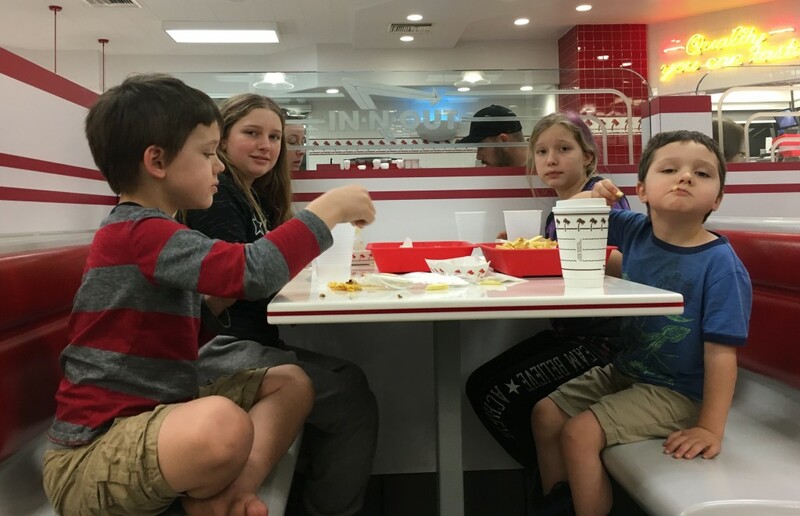 One last stop at In-N-Out before heading back to Boise. 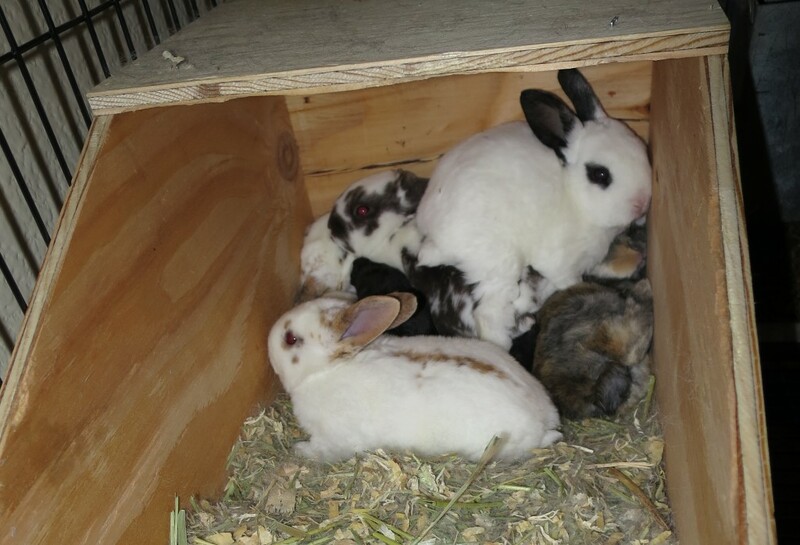 While the kids were traveling around, the bunnies were still growing, and were still cute. 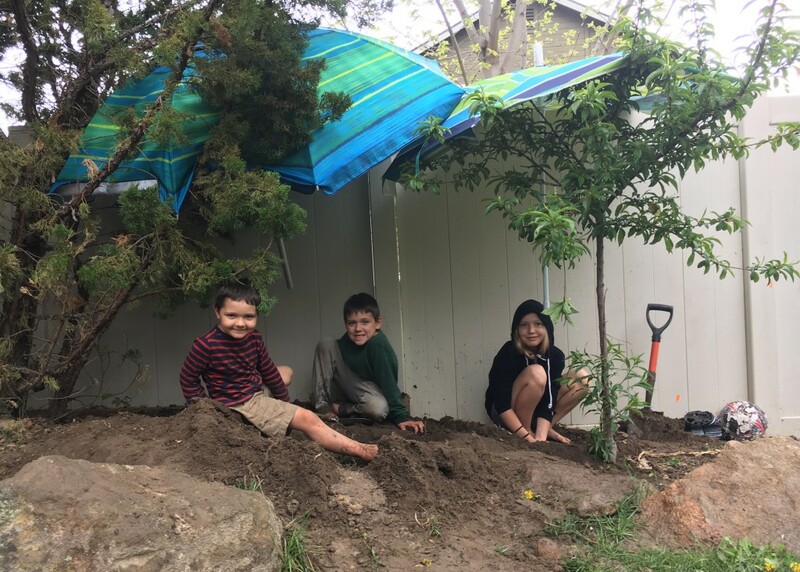 For a while there, the kids had this big old construction project going in the backyard. 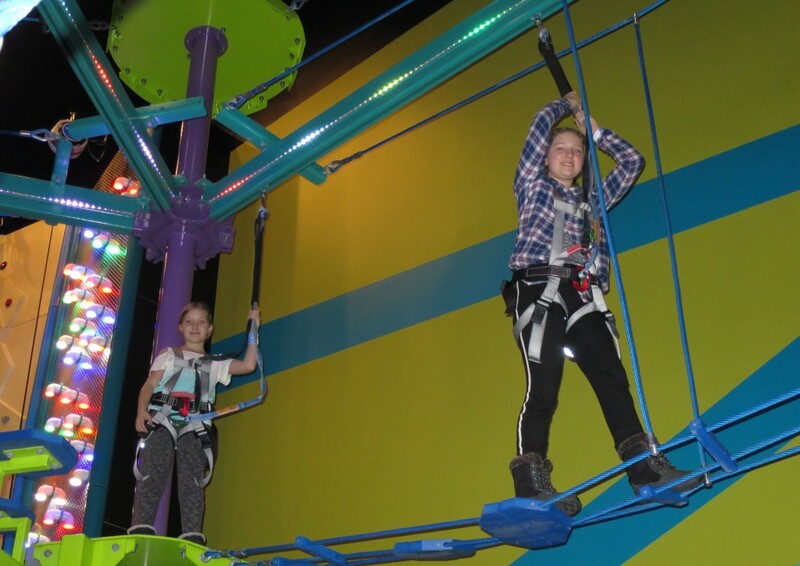 March is a birthday month for us, with Naomi, Amelie and Desmond all having birthdays, so we took the kids to Wahooz for some high-flying fun. 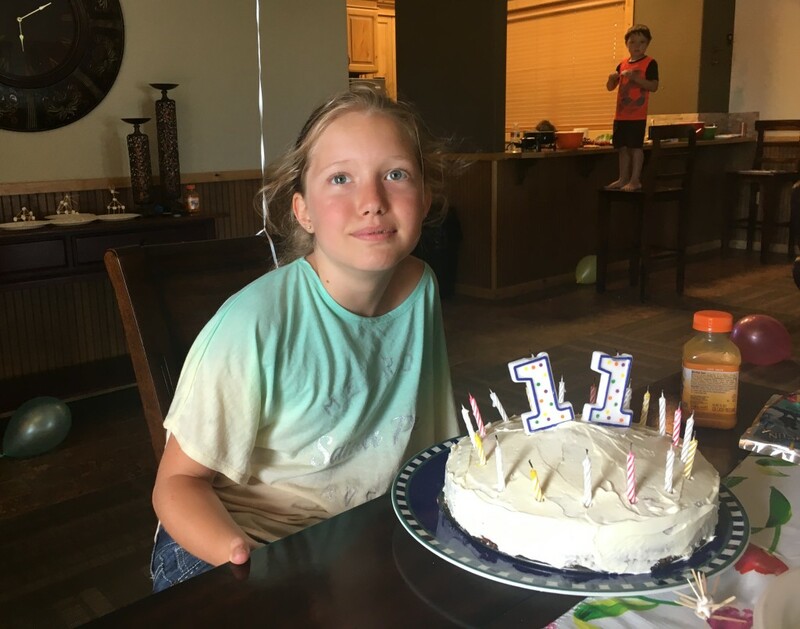 In March, Amelie turned 13, she's an official teenager now, and Desmond turned 8. Amelie is still really nice though, she still talks to us and everything. For Desmond's birthday, we had a piñata, Desmond was the first person up, and on the first swing, he knocked the bottom of the piñata off and that was it for the piñata. It was over quick! 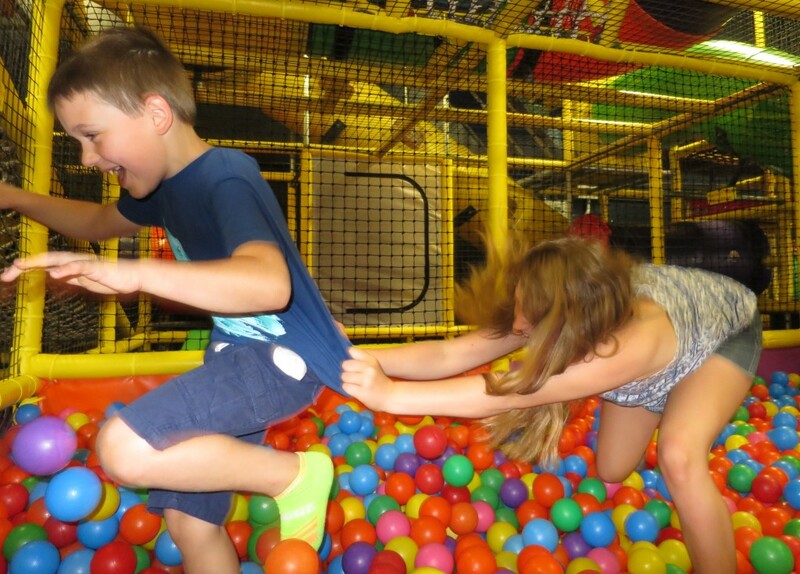 There's no escaping the terror of the ball pit. 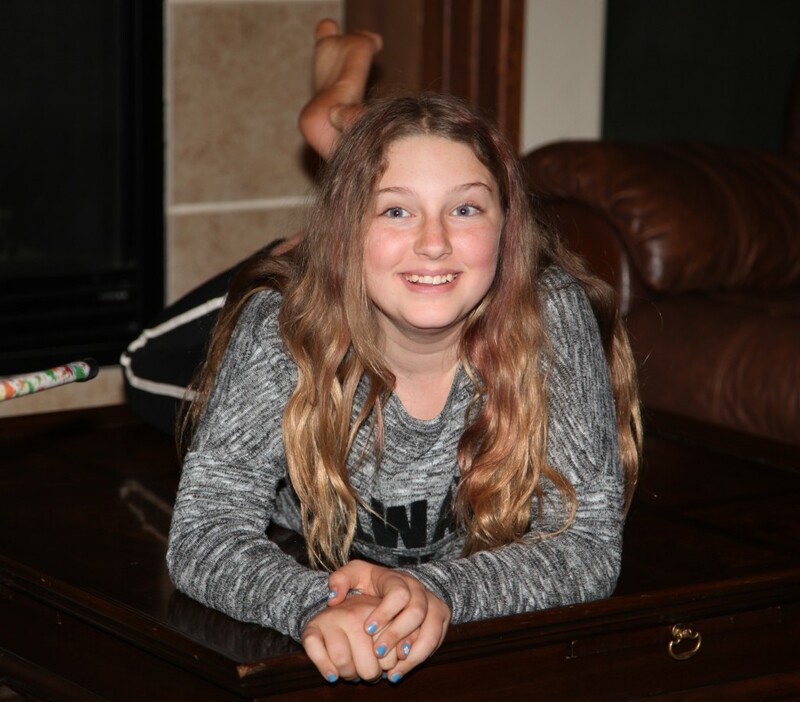 Mia turned 11 this past May, she's getting so big, it's so cool to watch her grow up. We rented the neighborhood clubhouse for her birthday and had a fun pool party. 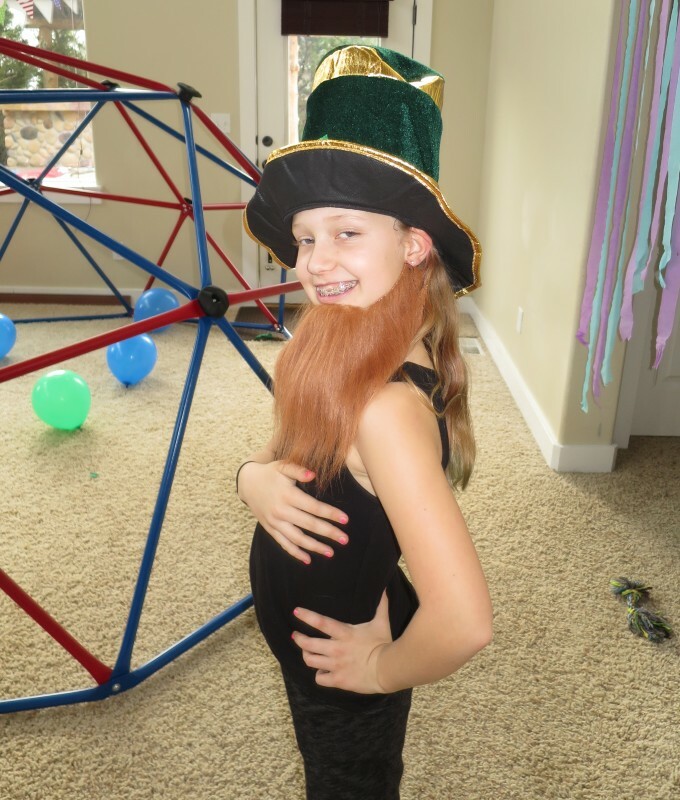 Mia got into the spirit of St. Patrick's Day, channeling her inner Irish. 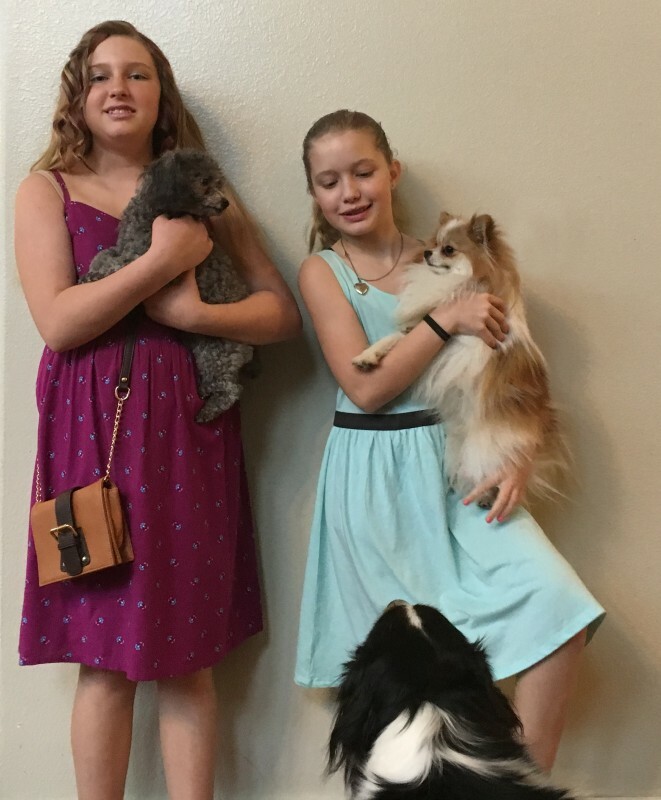 Amelie and Mia got all dressed up for Easter in their finest. 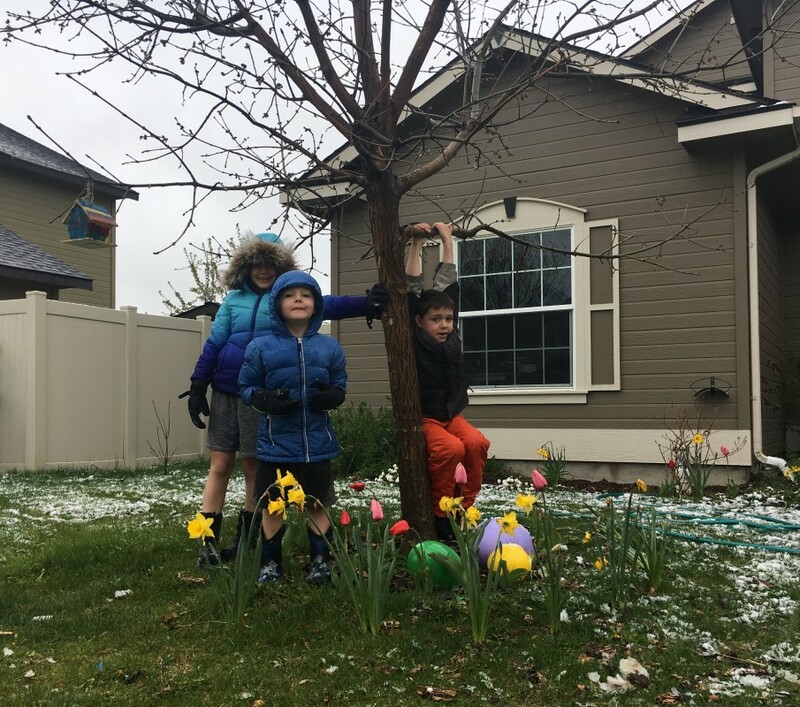 Easter was a lot of fun, but it actually snowed around Easter, which was crazy. 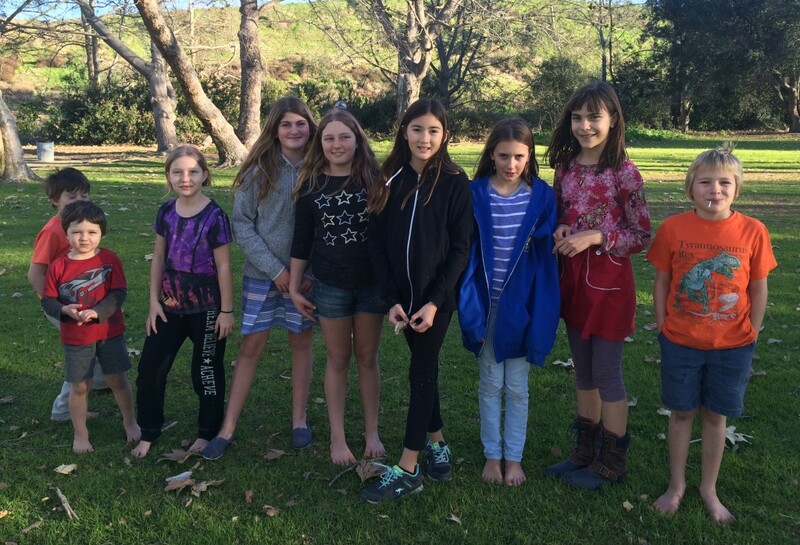 This is the crazy mad Easter egg hunt at the park behind our house. This is a short video of the snow we got. It melted away pretty quickly, though. 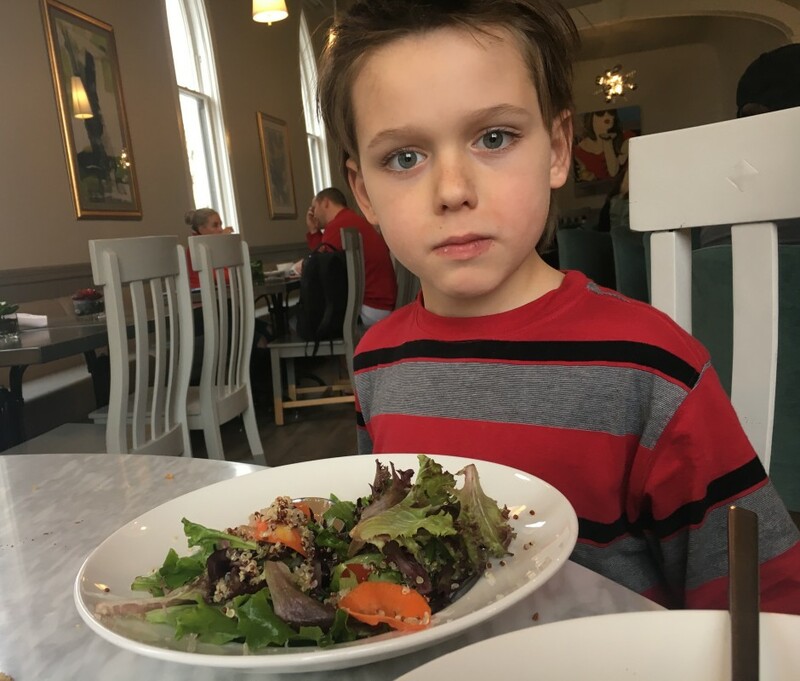 Desmond at 8, staring at us as if to say, do you expect me to eat this salad? 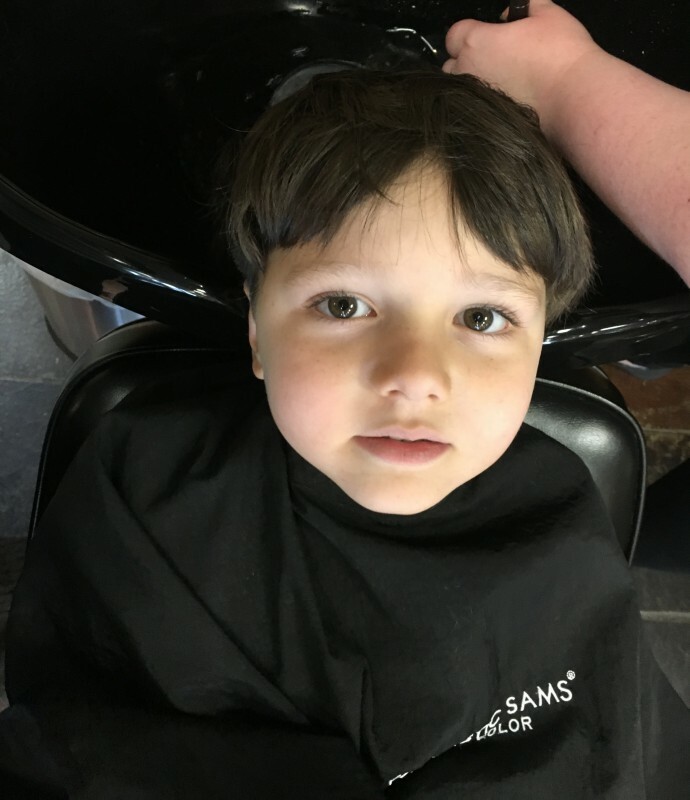 I like this picture of Miles getting a hair cut, so I'm throwing it in here. He's a cute kid. After all that snow we got during winter, the Boise river was at flood stage for months during the spring. To keep it from flooding, they had the dam wide open. This is called the Boise rooster tail. 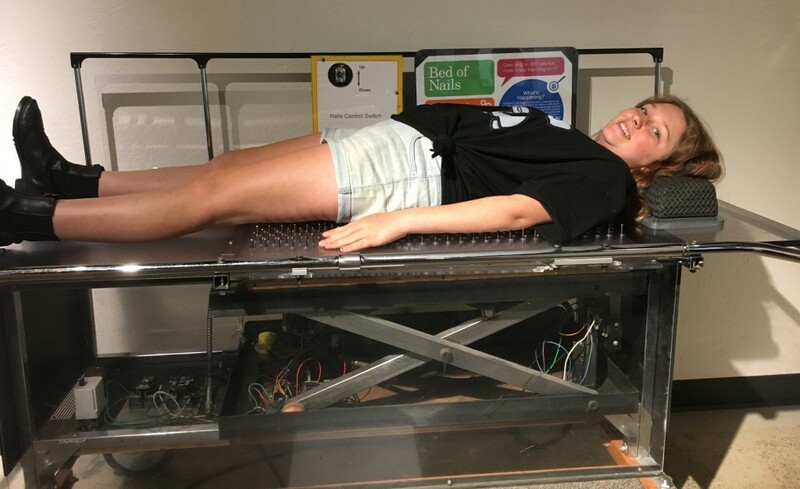 We signed up for a membership at the Discovery Science Center, and Amelie got to experience a bed of nails. A Pet Expo was held in Boise, and they had those giant hamster balls you could get in and bash into other kids. Naomi took the kids to a trampoline place that also had rock climbing, and even Miles got into it, but hey, if you think I'm climbing all the way to the top, forget about it. 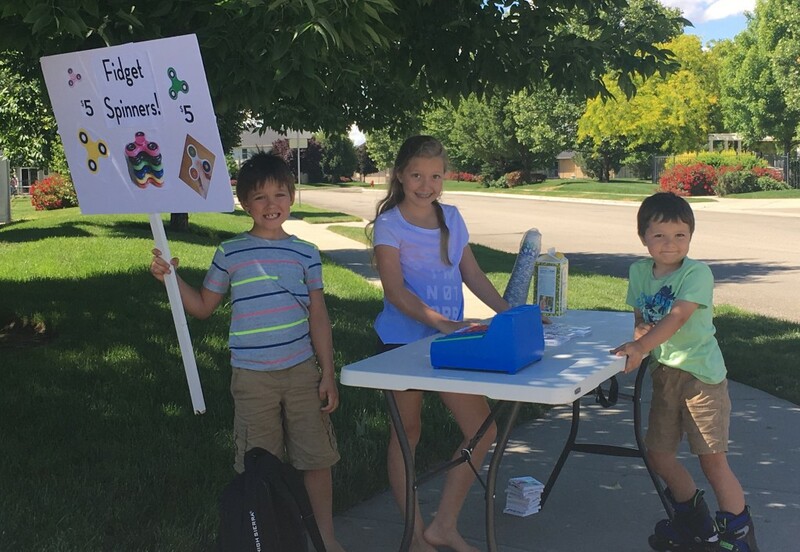 When the fidget spinner thing became a craze, Amelie bought a couple 50-packs off Amazon from a Chinese seller (about $1.50 per spinner) and made a giant sign and started selling them. 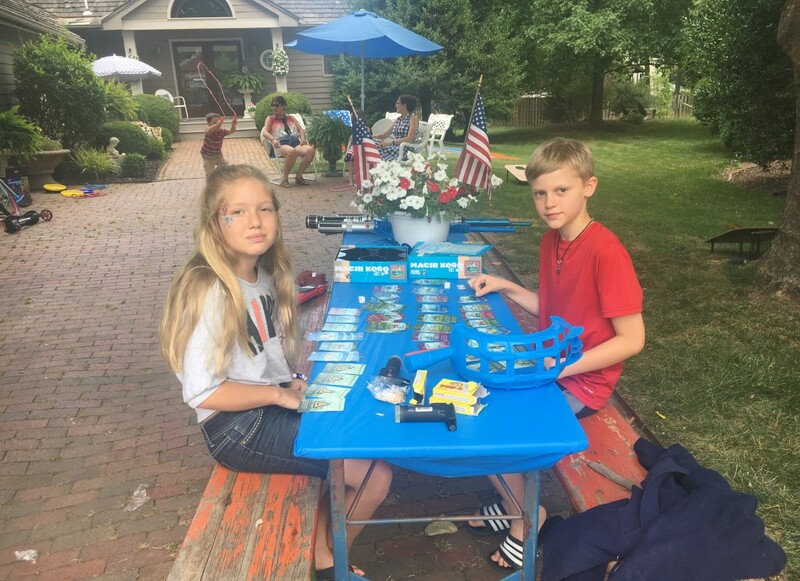 Mia and Desmond also tried their hand at it, and Desmond made about a hundred dollars just by going to the park with his sign. The kids pooled all their money from the fidget spinners and babysitting and bought this giant water slide. 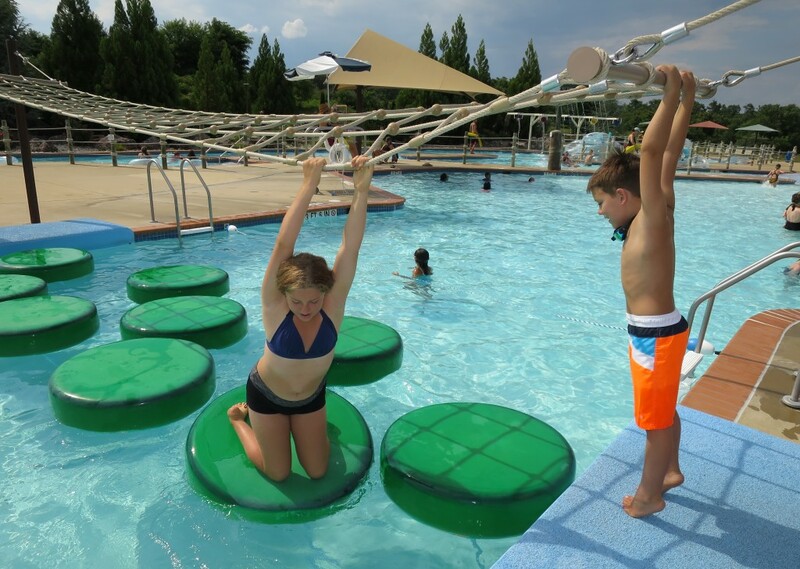 It's designed to sit on the edge of the pool and let you slide it, and it was a big hit at the neighborhood pool. The kids also turned it upside down and used it as a giant raft. Then we brought it home, laid out some plastic, and it made an awesome slip-n-slide. Naomi saw that for Father's Day, Lagoon (a theme park and water park in Salt Lake City) was giving $15 off a ticket, so we loaded up and drove down there for the weekend. It was a lot of fun, but pretty hot. We rented a wheel chair for Naomi to conserve her energy. 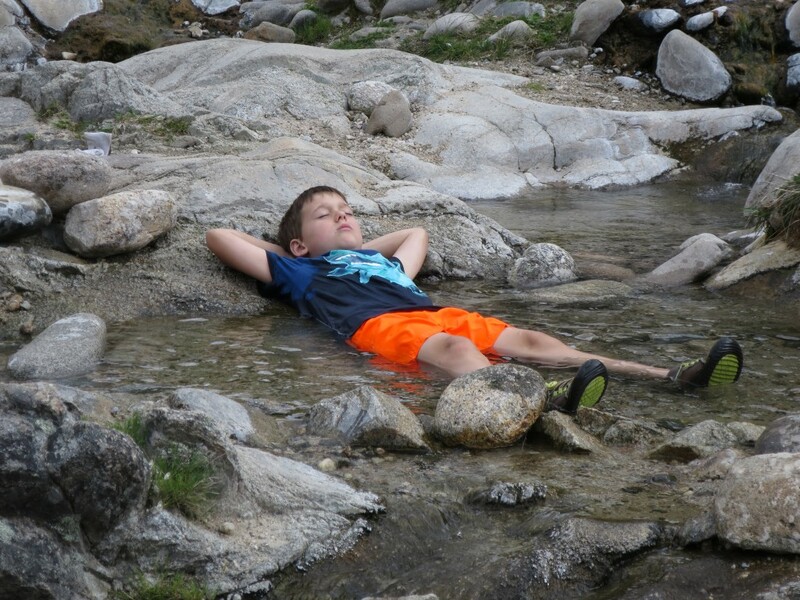 The lazy river was their favorite thing to do. They make you rent those inner tubes for $5, though, which is a bit of gouging there. 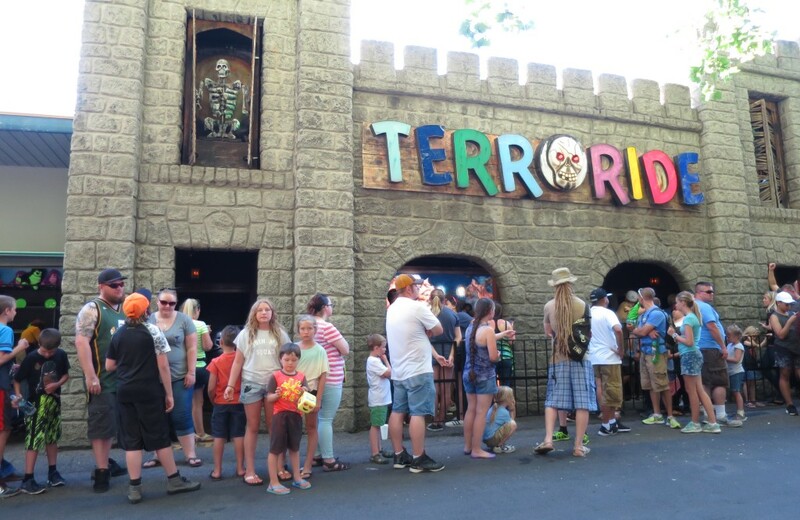 They just finished re-doing the Terror Ride at the park, but it was still pretty bad. The ride broke down while we were in line, so we had to wait about thirty minutes before it got going again. 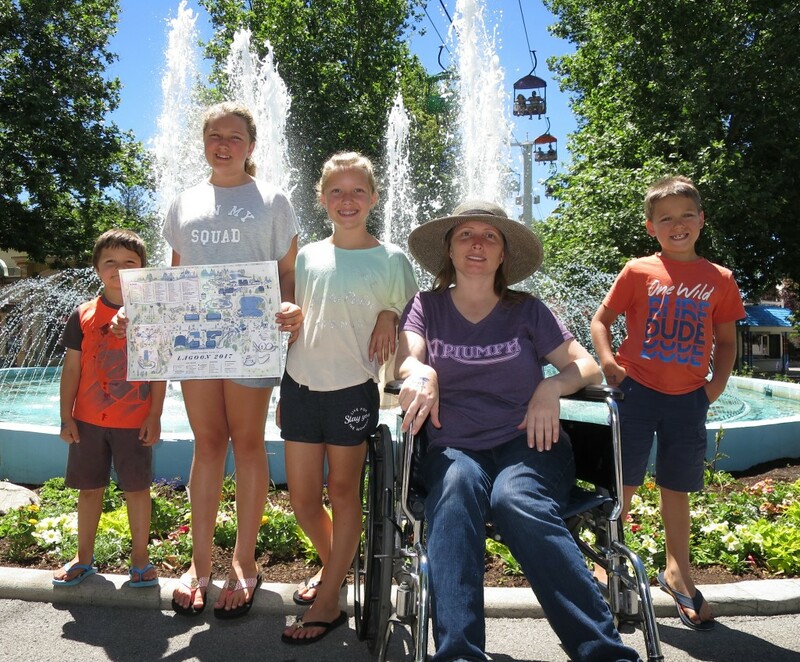 The park was better for the water park attractions than the amusement park rides. We went on one, Dracula's Castle, that was just so bad it was fun. It was really bad, like somebody's garage during Halloween bad, but we enjoyed it anyway. Miles liked the swings in the water play area, he spent hours there while the bigger kids went down the water slides. Miles can drive the electric motorcycle he got for Christmas really well. He goes all over the place with it, but never too far. A baby duck fell down a storm drain so the fire fighters are trying to get it out. They eventually did. This is a random one. 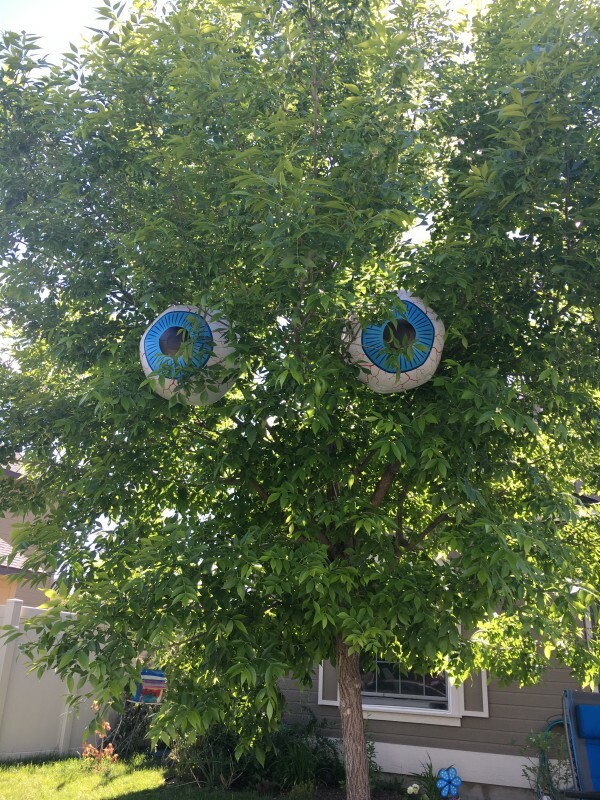 I saw a picture from this years Maker Faire in San Francisco where somebody had put giant beach ball eyeballs in a tree, and it just made me laugh. So I did the same thing. It came out way better than I thought it would. Are you looking at me? 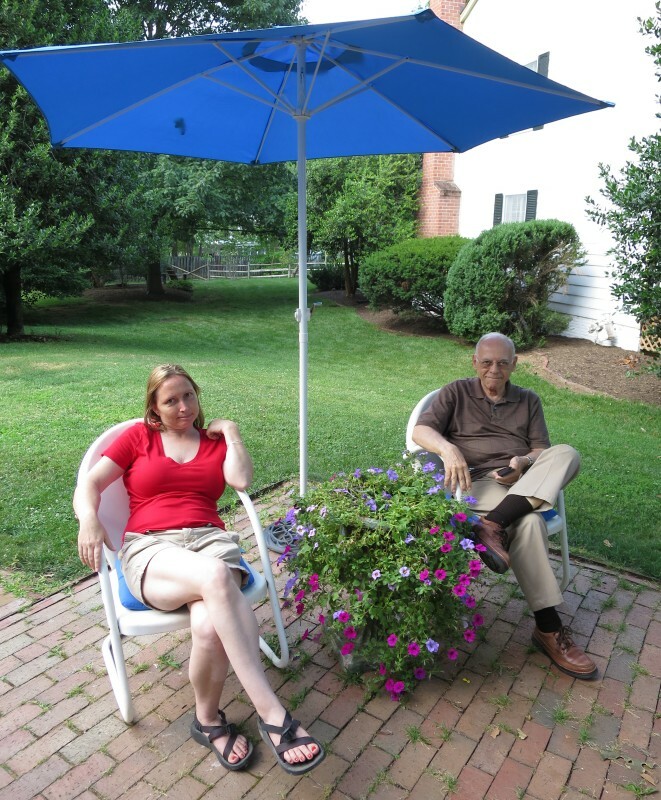 For the Fourth of July, we went back to Virginia to visit my parents. 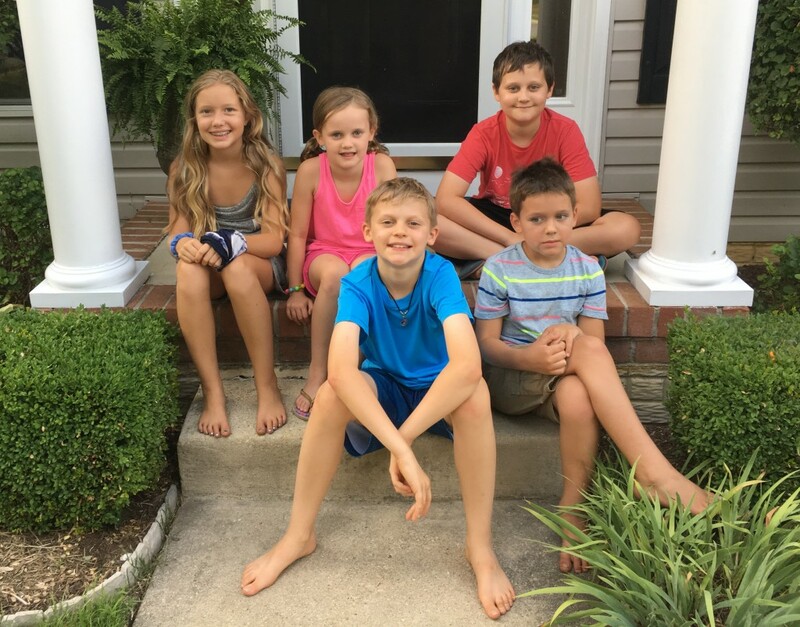 But first, we visited my sister in Maryland and got a chance for the cousins to get to know each other. Next to Mia is Janie, Sam, and Henry is behind Desmond. 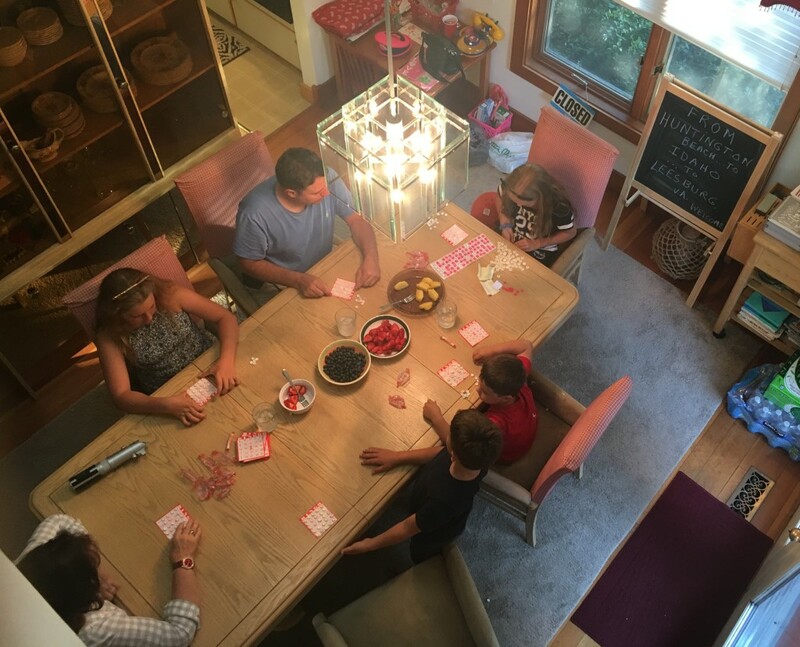 We got to Virgina a week before the other families were showing up, so we got to monopolize the grandparent's time. We played Bingo for a dollar every night, it was a lot of fun, and we took turns being shot caller. 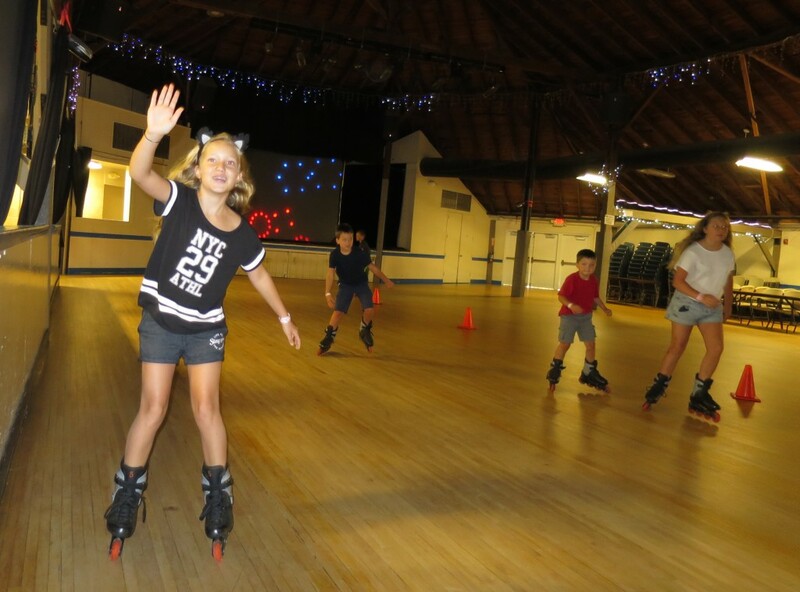 We had some fun at a local roller skating rink. It was actually a big meeting hall that they converted into a roller skating rink. Every time the kids went by me, they would give me a high-five, so that's what they're doing in the pictures. 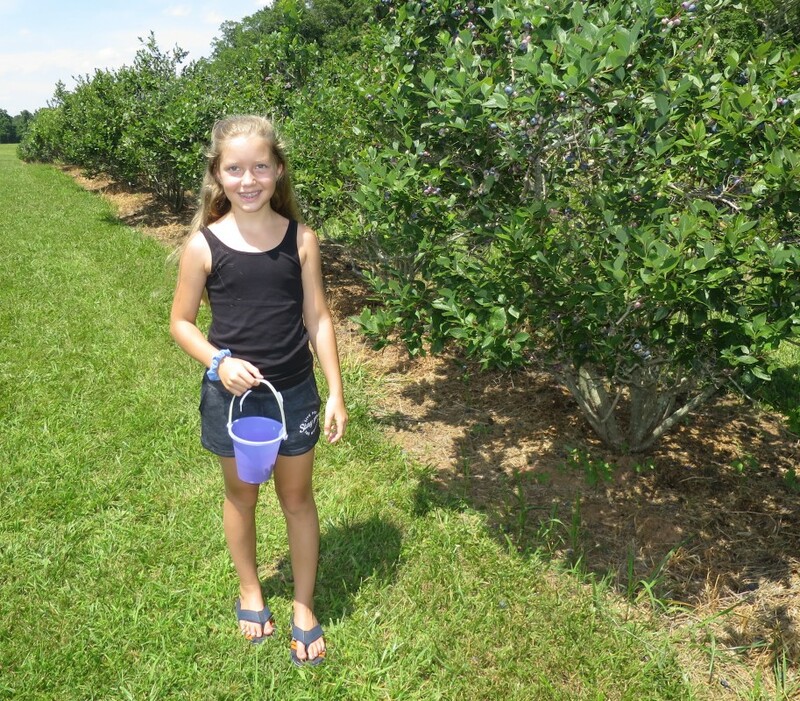 Almost the first thing we did was go blueberry picking at Eagletree Farm and Vineyard, it's a perennial favorite. They have a big lake with a bridge going onto an island in the middle of it, it's an awesome farm. There was a local park that had a ton of animals you could go pet, it was pretty cool. 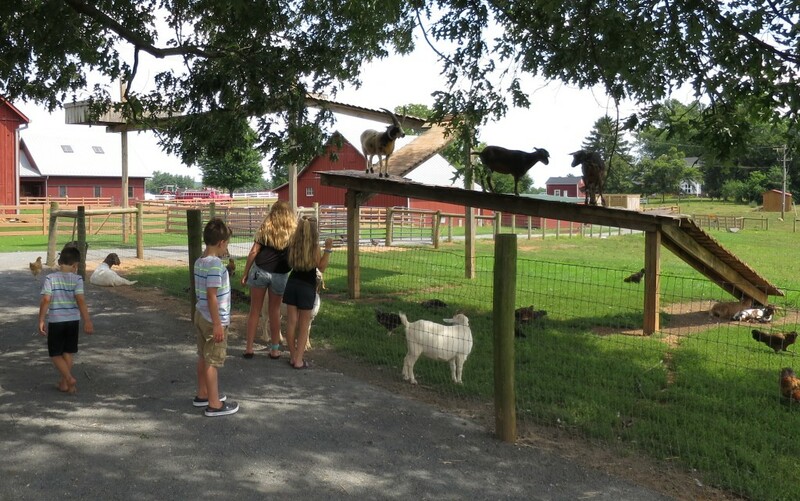 These goats have a long tall ramp they can climb on. 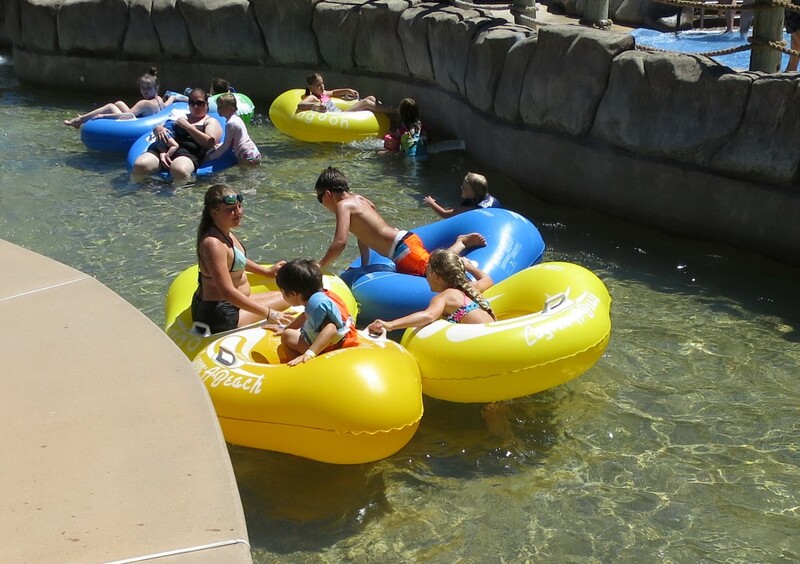 Grandma took the kids to Ida Lee water park, which surprisingly, the kids did not like. 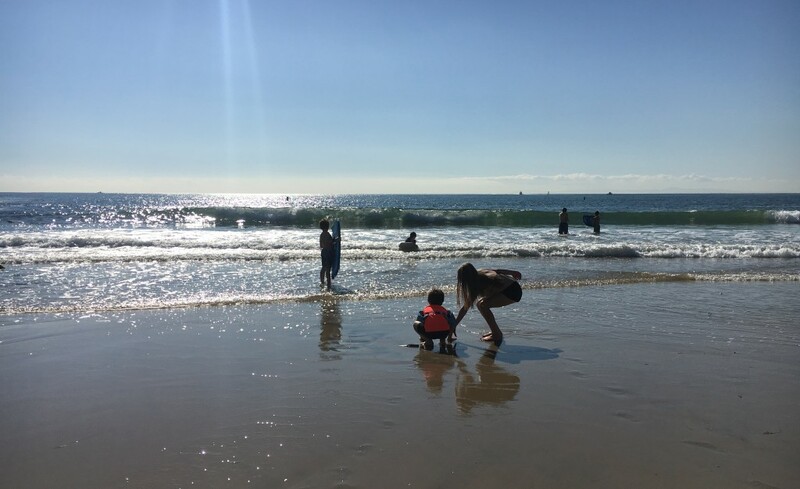 "Too many rules", they said, and the last ten minutes of the hour everybody has to get out of the water. We never did find out why. 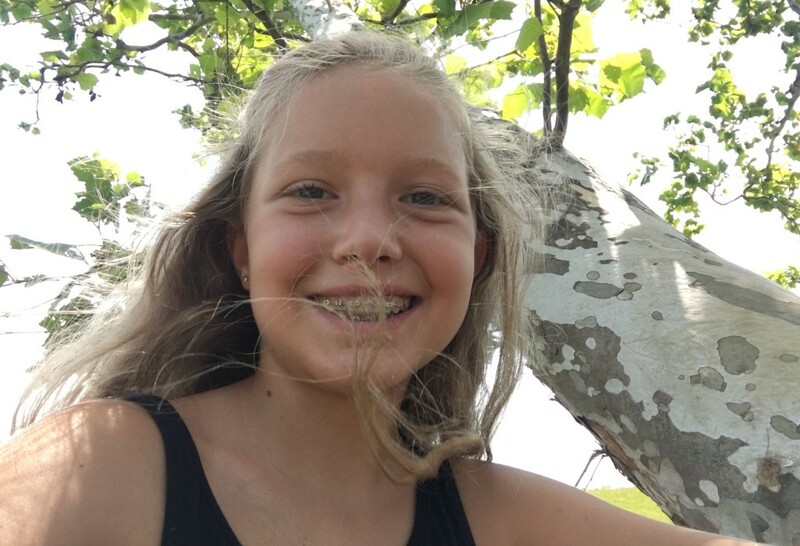 Update: Naomi's mom says it's to give the lifeguards a break from scanning the pool constantly. Makes sense to me. 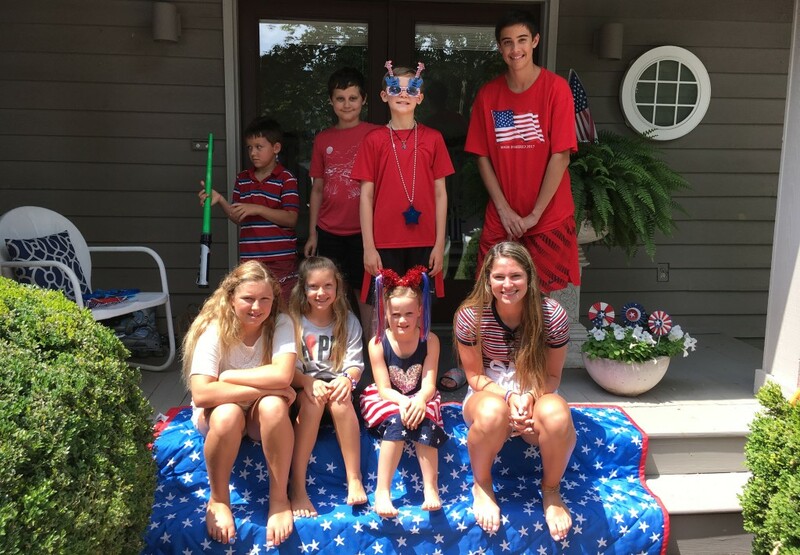 Around the 4th of July, my brother and sister showed up with their kids, so things got a bit hectic. 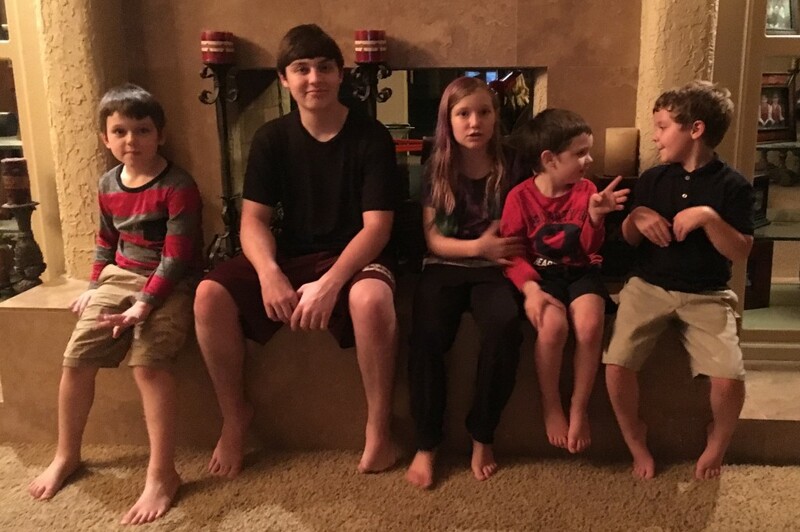 Here's all the cousins together, except for Miles, who didn't want to be in the picture. 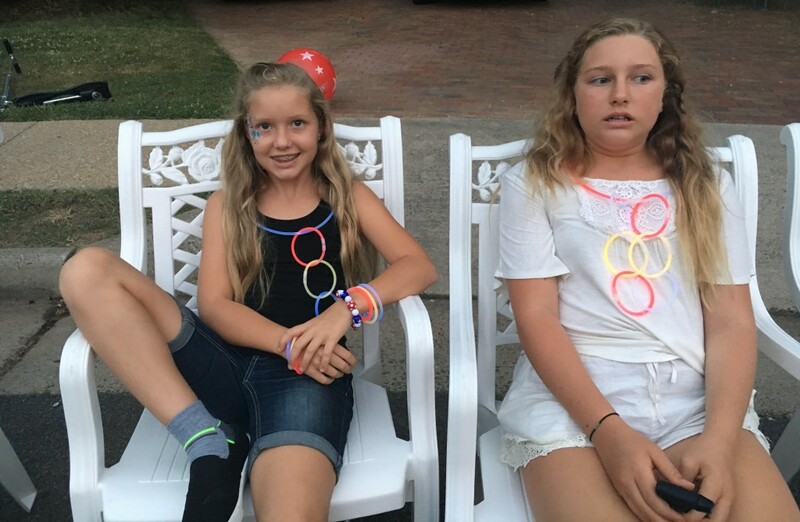 The 4th of July was great, just sitting around taking it easy. We had recommended this game Machi Koro to my sister, and my mom also had a copy, so we played a lot of Machi Koro. Miles was playing against the older kids and ended up winning. It's a rare thing to find a game where a five year old can beat the adults and players of any age can have fun. 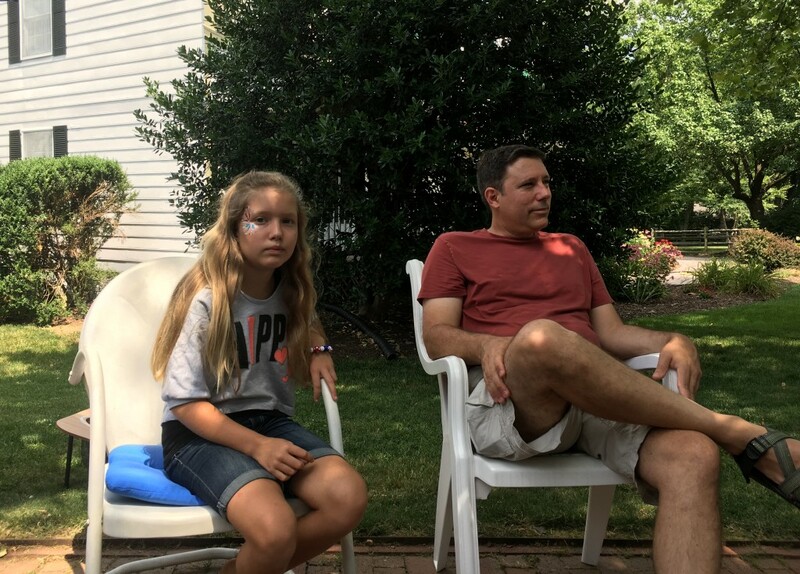 Naomi and grandpa sitting around watching smoke bombs go off. I like this picture for the look on Amelie's face as some kid off-screen is doing something crazy with a firework. Miles lighting off a smoke bomb or two. Mia had a cool decal around her eye, very festive. Mia is lighting off one of those flaming swords, they kids love them and we buy a bunch every year. 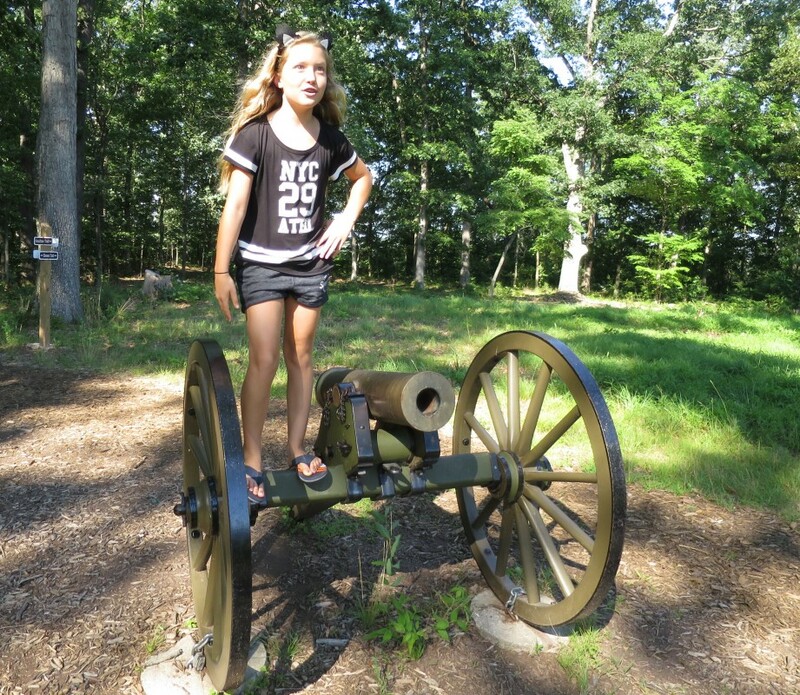 We visited a Civil War battlefield called Balls Bluff. They had some reproduction cannons there. It was pretty weird to think that at one point people were creeping through the forest trying to kill other people. A couple of days after the 4th, there was a giant down pour that lasted all night, I've never seen anything like it. No wonder the area is so green. 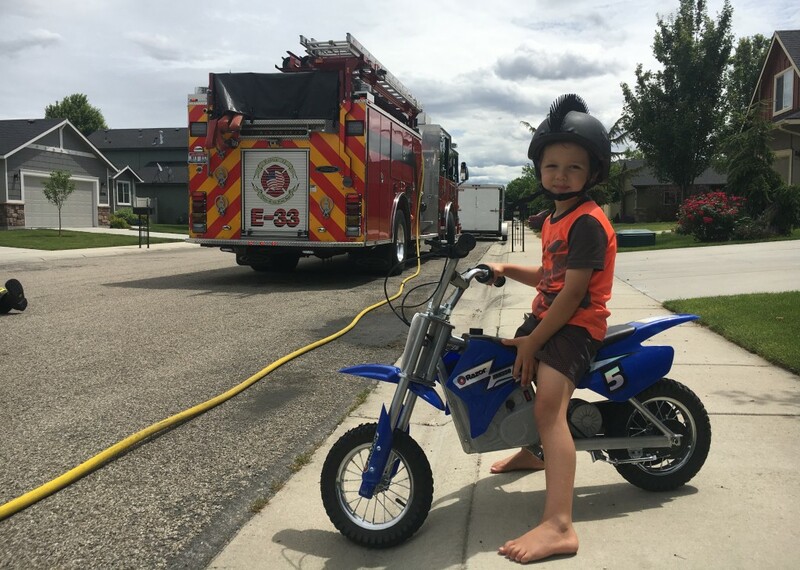 Desmond took this as an opportunity to use the slip-n-slide, no hose needed. 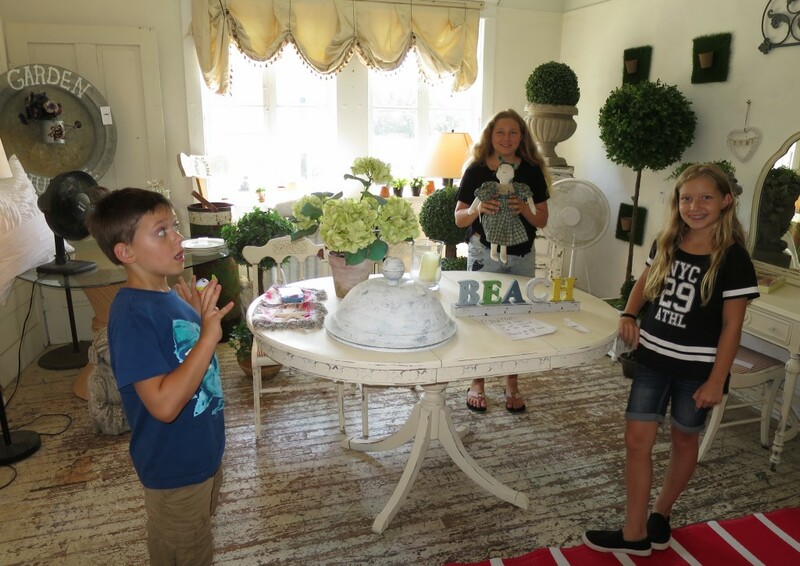 My mom sells antiques at a shop called Lucketts, and we drove over to check it out. She told Amelie this ghost story about how the ghost of a little girl haunts the store, so my mom left this doll out for her, but when she went back, all the hair on the doll's head was gone. So that's why Desmond has that scared look on his face. 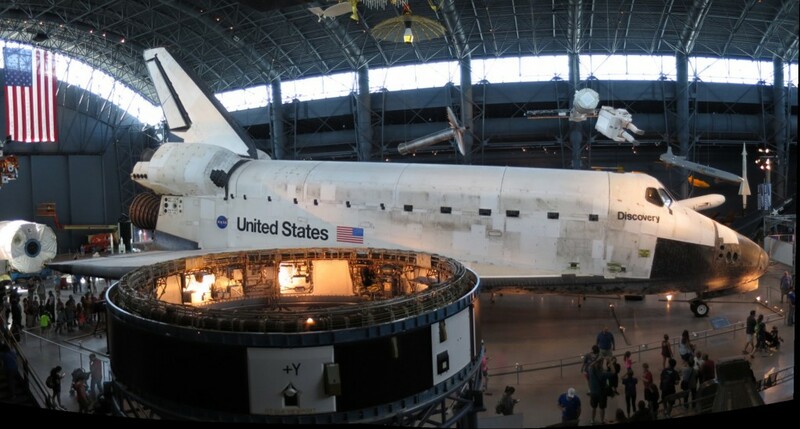 There's an air and space museum by Dulles Airport that has a space shuttle. It was so cool being able to see it up close like that. It's incredibly impressive. 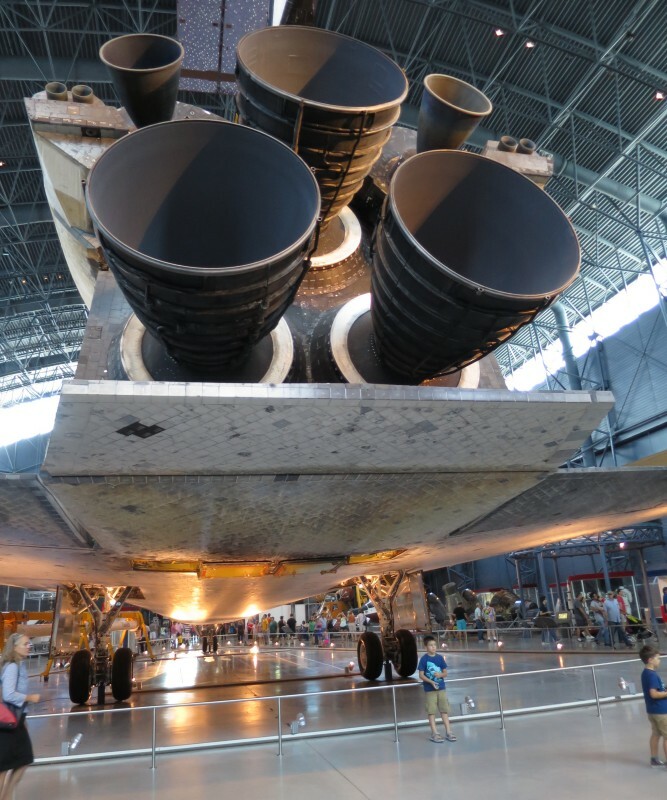 The engines on this thing are enormous. Makes me wonder how this thing could glide through the air to land, that just doesn't seem possible. That's Desmond at the bottom of the picture, for comparison. 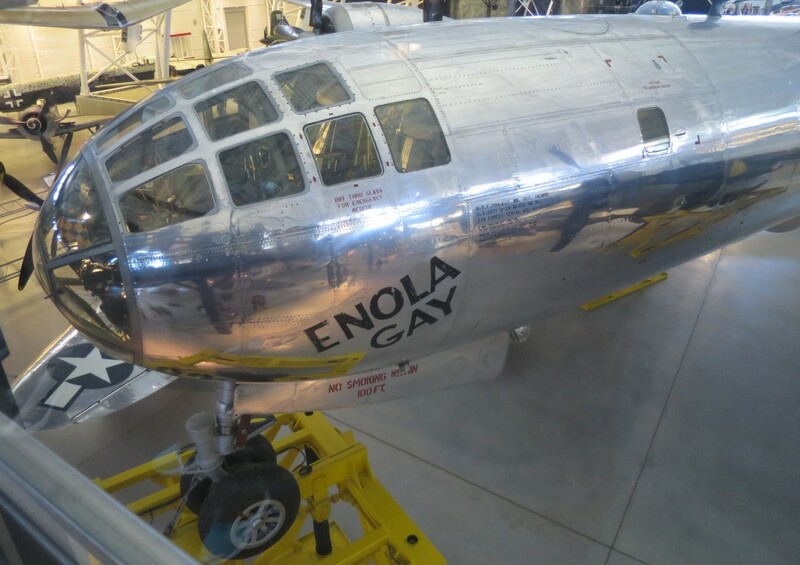 They have the Enola Gay, the B-29 bomber that dropped the bomb on Hiroshima. It was weird seeing it in person. My friend RobFan is in Asia right now touring around, and he was just in Hiroshima. It seems insane that this country has actually dropped, not one, but two atomic bombs on another country. The only thing the placard next to the plane says is that it dropped the bomb, but there's no sense of shame over what the country did, it's sickening. Howard Zinn condemns all war because he says atrocities are committed on both sides, and he's right. 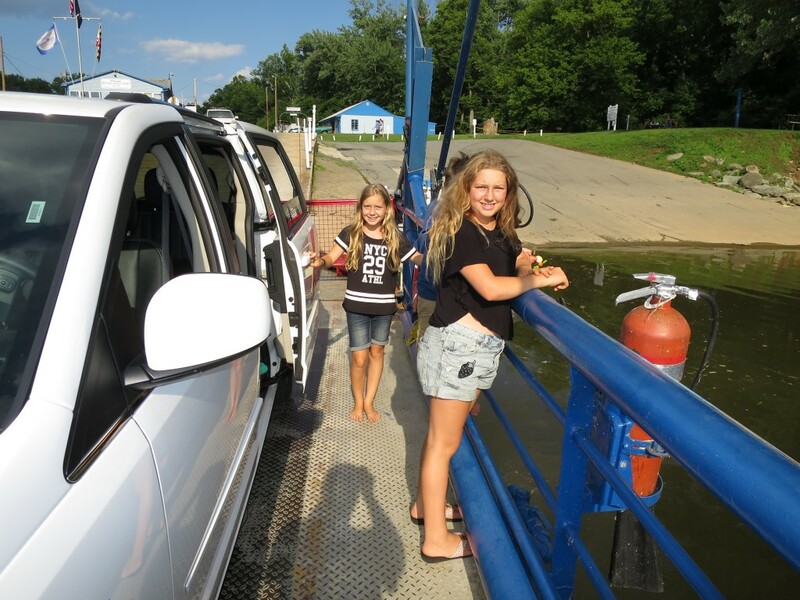 We took a nice drive around the Maryland countryside, and went back to Virginia on the historic White's Ferry. We took a day to go into Washington DC and visited the Lincoln Memorial. Who knew they had a slide at the Lincoln Memorial? We got upgraded to a suite at one of the hotels we stayed at, and the kids discovered this wonderful hiding spot under the pull-out couch. 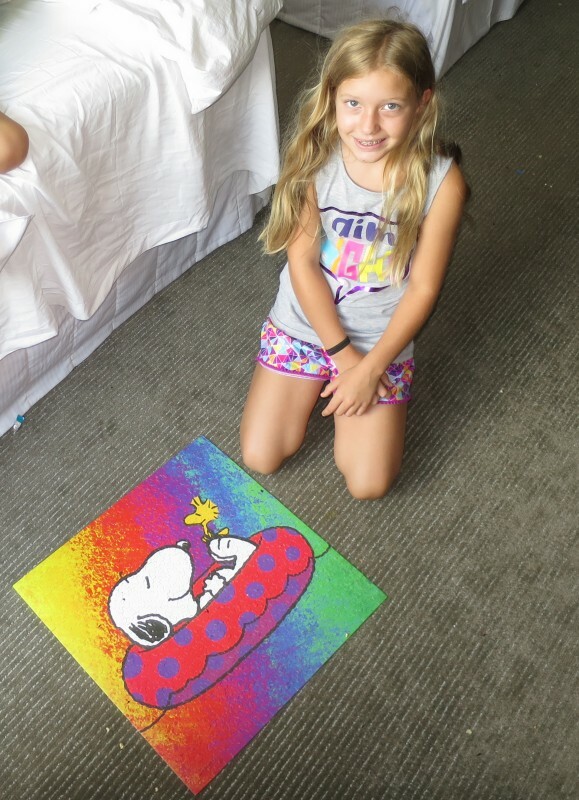 We passed time in the hotel at night doing this 500 piece Snoopy puzzle. It took a long time to finish it. We've been taking the kids to the YMCA and they're getting a lot better at swimming this year. It took a few tries before they finally got the courage to go off the high-dive, but now they aren't showing the slightest bit of fear, it's crazy. Well, this was a long update covering almost eight months, so here's hoping the next one comes sooner.